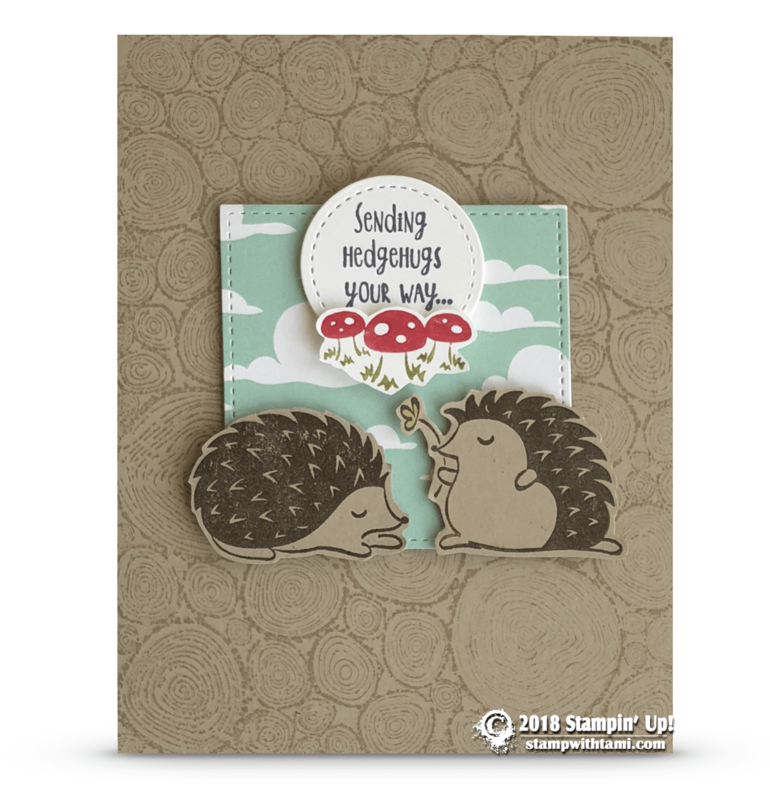 Super stinkin’ cute “Sending Hedgehugs Your Way” card from the Stampin Up Hedgehugs Stamp Set. The hedgehugs are stamped, then cut out and layered over a panel of Myths & Magic DSP (clouds) that was cut with the Stitched Shapes dies. The background is stamped with the Tree Rings background stamp. I haven’t got this stamp set, but seeing this card design it is definitely going on the top of my Wish List. Thank you for sharing this with us crafters.